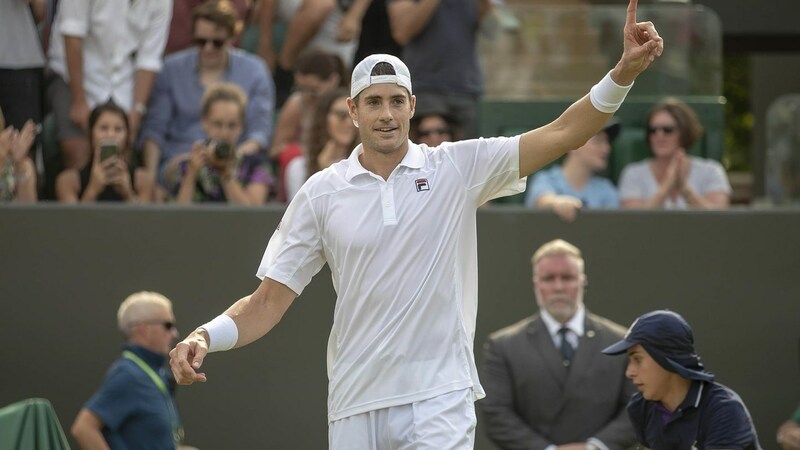 Former Georgia men’s tennis All-American John Isner now owns the record for the two longest matches played in Wimbledon history as his match Friday lasted 6 hours, 36 minutes in a loss to South African Kevin Anderson. Friday’s match set the Wimbledon semifinals record for number of games (was 72) as well as duration — the 6 hours, 36 minute match bested the previous mark by 1 hour, 52 minutes. Isner won the longest match at Wimbledon — or any other tournament — when he beat Nicolas Mahut 70-68 in the fifth set after 11 hours, 5 minutes in 2010. Isner also broke the record for the most aces in Wimbledon history. He totaled 53 on Friday, which gave him 214 for the event, topping Goran Ivanisevic’s record of 213 in 2001.